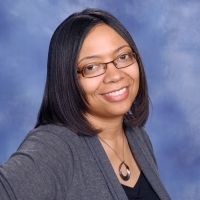 Tanya D. Wilkes-Cloud serves as the Office Manager & Director of Business Operations at First Baptist. She was raised in Gallatin and graduated from Gallatin Senior High School in 1991. After graduation, she attended Western Kentucky University to pursue a Bachelor of Science degree in Business Administration. Tanya has been employed at First Baptist since 2005 and has volunteered in several capacities here at her home church. She currently provides leadership to the CSI Ministry and assists in teaching the Wednesday night bible study class for ages 13-18.